The City of Calgary and art firm Sans façon have just published the organizational manual for an innovative new project meant to bolster public involvement in urban infrastructure. 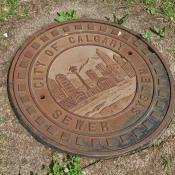 In Calgary, a new chapter is about to be written in the public experience of urban water and wastewater. 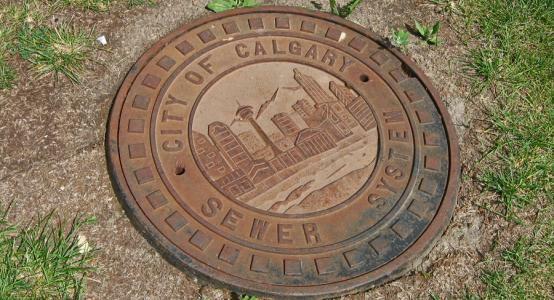 The City of Calgary's Department of Utilities and Environmental Protection (UEP) has for several years now been developing a public art program to accompany its capital projects. 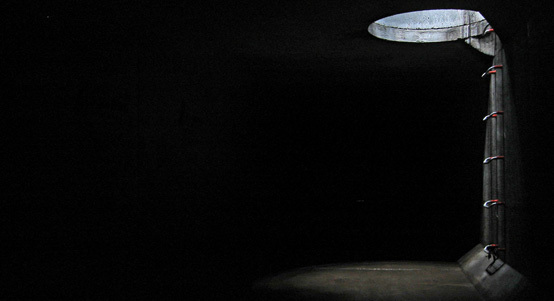 Having undertaken a "Visual Language Project" meant to define how those public art projects would be organized and presented, the program has birthed Watershed+, an implementation plan by the Glasgow-based art practice Sans façon that goes a lot further than simply laying out a strategy for the acquisition and labelling of public artworks and infrastructure. Instead, Watershed+ seeks to define and implement a new approach to thinking about and relating to water and wastewater infrastructure in the city. Full disclosure: Sans façon asked and received my permission to use several of my older photographs of storm sewers within their Watershed+ manual. To date, this has been my only involvement with this initiative. Calgary UEP's public art program began from the position that its primary job need not be as simple as 'make infrastructure interesting'. 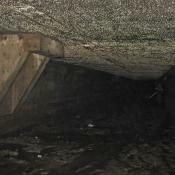 As the success of television programs like Cities of the Underworld and Dirty Jobs has made abundantly clear, and as I've found in the broad audience that has been interested in the work presented on this website, there is a tremendous public appetite to understand the hidden systems and services that make modern life and modern cities possible. Instead, the program's mission seeks to encourage a deeper level of public understanding and involvement in public utilities. Watershed+ supports this focus, noting in the program manual that "The possibility for intrigue is already at the heart of water management. 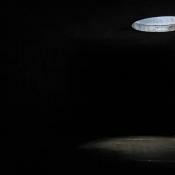 The myriad of structures and systems are, in themselves, often fascinating in their processes and mechanisms. They do not necessarily need to be altered, making them or their process visible can sometimes be enough to begin creating awareness of this other aspect of the watershed"1 (emphasis added). As you can imagine, I was very pleased to see this kind of acknowledgement from a consultancy working for a public works department, since this is one of the principal arguments I've been pursuing with the work on this website. Water systems and their accompanying infrastructural components are a key constituent not just of the physical ecology of the cities we live in, but of our social and cultural milieu. In most cities, attention, activism, and dollars all focus on the largest watershed components—in Toronto, Lake Ontario and the Humber, Don, and Rouge Rivers; in Calgary, the Bow River—the ones that are acceptable to access, understand, and pursue new ideas for. But the bulk of the watershed, and the bulk of the modern inputs into these water bodies, happens upstream, either in marginal streams and creeks that are often difficult to access or can too easily be reduced to ditches or parks, or in sewers that are off-limits and deliberately obscured. When we are so divorced from these systems, when the lake or river is the only part of the watershed we can easily access, understand, and construct ideas and alternatives for, our communities, lives and future possibilities are all made poorer. One of the best catch-phrases to emerge from several decades of water activism is the admonition that 'We all live downstream'. It communicates with a satisfying conciseness the notion that we cannot simply continue to flush away our wastes and pollution streams without thought for their effect downstream, since there is almost always someone upstream of us doing the same (or since, in cities like Toronto, where our pollution enters the same slow-circulating lake that our heavily-treated drinking water is drawn from, we are literally downstream of our own waste stream). What we also need though, and what I think Watershed+ is on a path towards creating, is a greater sense of the other side of that coin, that we also all live upstream, and that it is the pipes and creeks and traces in our own neighbourhoods that we most need to understand and relate to, and where we may find the greatest capacity to create changes that will improve the whole watershed. 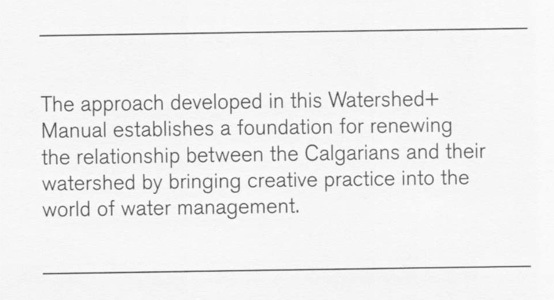 The operational implementation of Watershed+ has yet to begin, and so I'm limited here to anticipating what may come from it given the right staff and an institutional commitment on the city's side to carrying it forward wherever Calgary's residents, artists, storytellers and urban visionaries may take it. But one of its most significant innovations has already been realized: the recognition, by a major Canadian city's public works department at a management level, that a responsibility exists to engage the public in the city's basic services, infrastructure and topology as more than just customers. Here in Toronto, we remain largely trapped in that provider-customer model of public works (and of municipal government in general; newly-elected mayor Rob Ford's continuing rhetoric about "respect for taxpayers" being Exhibit A). 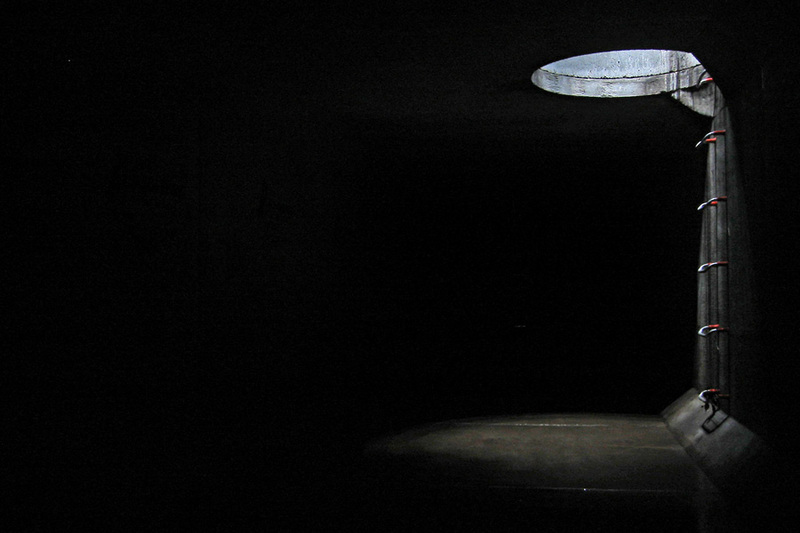 Toronto Water has taken at least one baby-step back out of that dark place, having apparently decided to reinstate public tours of the famed R.C. Harris Water Purification Plant, beginning with this year's Doors Open (it hasn't been a part of that event since 2000). But for the most part, in recent years their public engagement model has begun and ended with the drinking water trailer they roll out at every street festival, and the promotion of the usual sort of dos and don'ts (DO connect your downspout, DO install more water-efficient toilets, DON'T pour paint down the catchbasin) that may earn grudging acceptance but will never capture anyone's imagination or commitment to being involved in the city's improvement. While conceived as a public art program, the actions and ambition for Calgary that are articulated in Watershed+ promise to create much more than a legacy of aesthetically-pleasing and thought-provoking installations. Intended to be integrated within both the capital program and the day-to-day activities of Calgary's works department, the program aspires to create opportunities for residents to be authors of the meanings and physical presence of their city's ecological infrastructure. Watershed+ suggests that the opportunity exists to rewrite the relationships of residents and businesses with infrastructure, watersheds, and the overall ecology of Calgary. Infrastructure should not have to be sole-authored by engineers and planners in city offices (however skilled and dedicated they often are), and environmental consciousness and activities shouldn't be something that people undertake only in spite of the blank face and disinterest of institutional management. Vibrant, successful and flexible cities depend on the active involvement of the public as citizens and community-members: defining priorities, creating and debating the roles, shapes and meanings of the things we make, and getting our hands dirty in acts of making, maintaining and remaking both the physical and social environment we inhabit. With a tinge of nostalgia and longing, we might still expect (or wish) that people in a small town would get together to build a church, rebuild a fire-damaged house or, getting closer to water, dig a new ditch for a productive field. These are the constructive, collective acts of responsibility and initiative that we associate with the idea of a strong and resilient community. As urban residents, we need and long and occasionally struggle for the opportunity to engage in similarly participatory acts of city-building, to be architects, assemblers and playwrights for the systems that support and shape our lives. But beyond desire, our capacity and opportunities to be engaged in this infrastructure and ecology, insofar as they create more resilient and responsive systems, may very well be absolutely critical to our cities' successes in meeting the severe environmental, economic and social challenges that this century seems all but certain to pose. 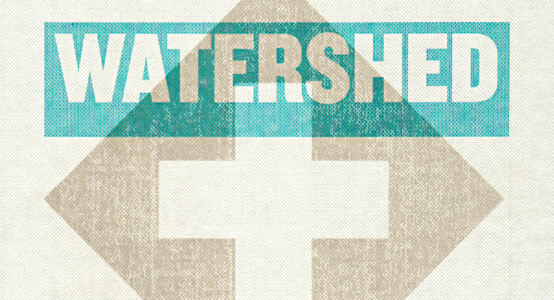 An excerpt from the Watershed+ manual. Managers and front-line employees of public works should be relieved and excited to learn that residents want to know about and be involved in improving and imagining the systems they oversee. It seems like this realization has begun to occur in Calgary, and we can only hope it is able to develop further, both there and in other communities. For too long it has been assumed that engaging a disinterested public would only be an inconvenient chore (or worse, a security risk) for institutions too busy 'getting things done'. Throughout North America, this attitude hasn't just kept the public at arm's length—it has also facilitated the recurring physical and budgetary neglect of critical urban infrastructure, and the renewal of our commitment to hard, capital-intensive and environmentally-fraught physical systems (for instance, CSO storage schemes like Toronto's Western Beaches Storage Tunnel or Chicago's deep TARP systems, or a new generation of municipally-owned landfills). 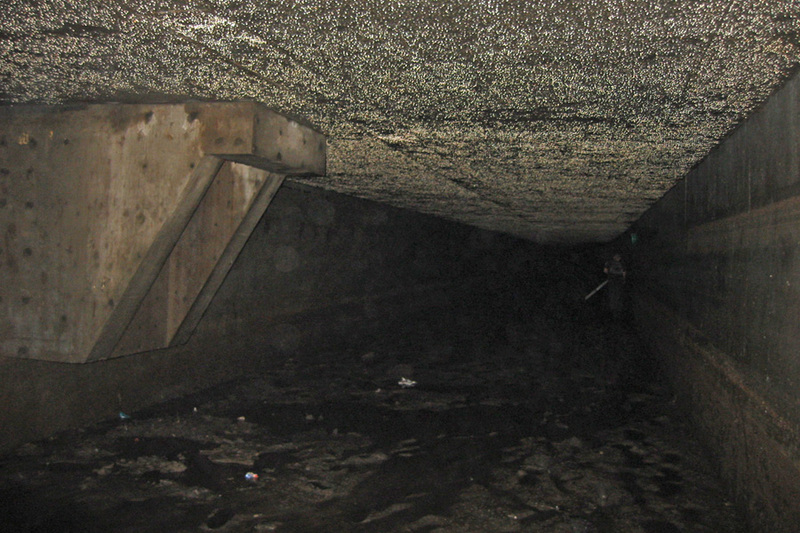 In many cases, rather than internal obstacles within public works departments, innovative approaches to wastewater handling and treatment have run into the barriers posed by health regulations or by the real or assumed opposition of adjacent neighbourhoods, whose residents have never been given the opportunity to understand these choices and to author their own alternatives to the construction of more deep storage and conveyance structures. 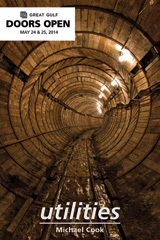 An involved public is not only one that is equipped to look critically at these underground megaprojects, but also one that will be more prepared to accept water, with all its unpredictability and inconveniences, back into the places and the landscape that they live in. In many cases, that public already exists, but only at the level of a latent desire for new relationships with their surroundings. 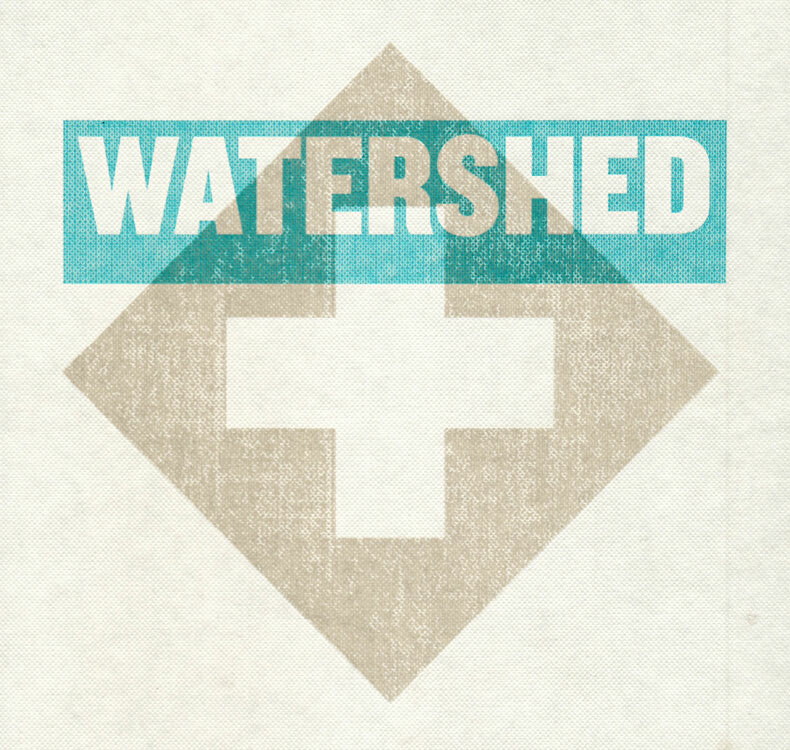 Watershed+ represents the opportunity to engage and support those desires, to respect and mentor the Calgary public's capacity to be not just end-users but also authors of the infrastructure and the modified ecological systems that their lives depend on. It is an incredibly exciting opening, and I wish Calgary's UEP, Sans façon, and the rest of the program's participants the best luck in implementing and pursuing this vision. 1. 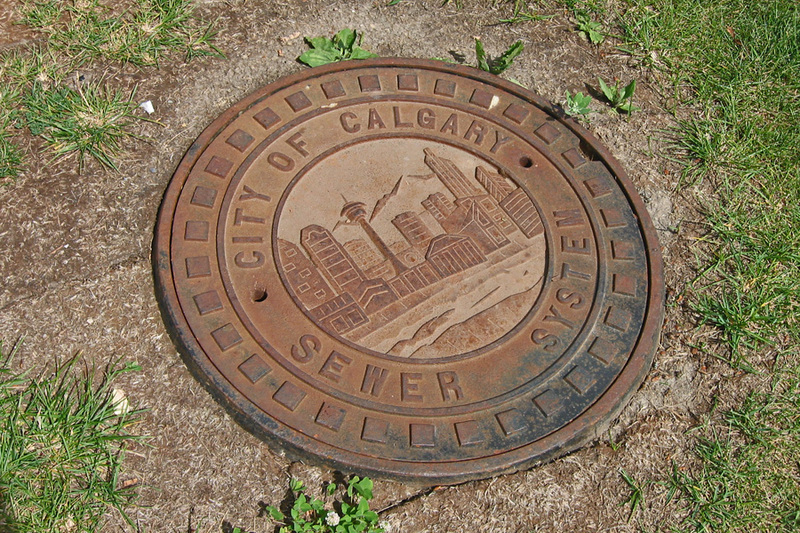 City of Calgary Utilities and Environmental Protection and Sans façon. 2010. Watershed+ Manual. 7.